•How does the site work? 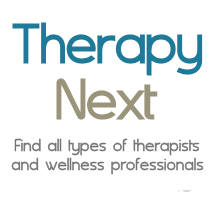 TherapyNext.com offers both free (basic) and paid (Professional) profiles for therapists. Getting listed will get you found by clients who are looking for your services. Join our network of over 7,000+ therapists and grow your practice. We are a try-before-you-buy site with no risk. Try us free. If you start getting referrals then you can upgrade. You can see your messages and decide. Our membership fee is very low at ($9.95/mo). It's simple, risk free, and no credit card is required. •How easy is it to create my profile? Your profile can be up in minutes! In addition to your complete practice information, photo, and map, your profile can display professional and news articles, blog posts, discounts/offers, events (e.g. workshops, seminars), and recommendations. And these features are extremely easy to use. •Why should I create a profile? Your profile is a powerful marketing tool to grow your practice. Individual web sites are often missed by Google and other search engines, but our profiles are optimized to get found in Google and Bing, and clients will search directly on our site and find you. You improve your Google ranking, gain powerful marketing, and get contacts from potential clients. •How many client referrals will I get? Our members receive an average of three referrals per month (this does not include phone calls). Professional members appear first in searches and get more referrals than Standard members. Of course, referrals depend on your location, the competition in your area, and the quality of your profile. The good news is that just one good referral per year will cover the cost of our very low membership fee ($9.95/mo. ), and it's very likely, if you optimize your profile, that you will receive multiple referrals. We are glad to help our members with advice to make their profiles more effective. When you succeed, we succeed. •I would like to list my organization rather than myself. Can I do this? When you sign up you can choose to list either your name or your practice name as the primary display on your profile. •I already have my own individual web site for my practice. Why should I create a profile on TherapyNext? Your web site may look great, but if no one sees it then it won't help your practice. Thousands of people visit us to find help, so if you're listed you can get referrals. •I'm worried about the privacy of my email address - will you keep it private? We take privacy seriously and will never share or sell your email address. •Will my email address be visible on my profile? No, your email will not be visible on your profile. Clients can contact you by using the Send Message link on your profile. Our system then privately forwards the client's message to your email address. And of course, clients can always call you. •How long does it take for my profile to be approved? Your profile will be active immediately when you click the link in your Activation email. However, to protect clients we review our profiles for accuracy, quality, and legitimacy and remove profiles that do not conform to professional standards. Profiles may take up to up to 24 hours to be approved during peak times, weekends and holidays. •Why didn't I receive my activation email? Your email provider may have moved your Activation email into your Spam or Bulk Items folder. Please check your Spam and Bulk Items folders and mark emails from us as "Not Spam." If you did not receive your activation email, please contact us. •What is the Recommendations feature? If you enable the Recommendations feature, which is optional, your profile can display recommendations, similar to LinkedIn, that build your web presence and increase your reputation. You must approve all recommendations before they display on your profile and you can easily delete any recommendations. •How can I post in my profile blog? You get your own profile blog to share your experience and advice. Posting in your profile blog improves your rank in Google and Bing and attracts more potential clients. Login to your Control Panel to post and manage your blog. •How can I post professional articles on my profile? You can post professional and news articles on your profile. Posting articles to you profile increases your reputation and attracts more potential clients. Login to your Control Panel to post and manage your articles. •How can I post events (e.g., groups, workshops, seminars) on my profile? You can post events on your profile. Google and Bing will find these and they'll get you more contacts from potential clients. Login to your Control Panel to post and manage your events. •How can I post discounts and offers on my profile? You can easily post discounts and offers on your profile. Your profile has more features than many websites. In addition, your discounts and offered will get found on Google and Bing you'll get more web exposure and potential clients. Login to your Control Panel to post and manage your discounts/offers. •How can I post a video my profile? Simply upload your video to YouTube and add the link to the Helpful Links section of your profile. •I am a Professional Member. How can I change my credit card or payment information? We use PayPal to handle all payments because PayPal is extremely secure. - Click "Profile" near the top of the page. - In the 'My pre-approved payments' section, click 'Update'. - Select the merchant whose agreement you want to change under 'Merchants'. - Click 'Change' under 'Funding Source'. Contact us and we will send you a new payment link to use. •Why do you use PayPal to handle payments for Professional Profiles? We take data security very seriously. PayPal is the world's leading SECURE payment processor. If you choose to become a Professional Member you can pay either with a credit card or your PayPal account balance. •How can I cancel/delete my account? Login to your Control Panel and choose Account Settings. You can cancel your membership at any time. There is no commitment. •How can I make my profile more effective to attract more clients? Read these important tips on how to write an effective profile.